Get your hands dirty with this Gift with Subscription! Are you tired of the bustling city life? Yearning for some greenery and fresh air? See how this gift with subscription could help! Well, to get that peace and serenity it is not necessary to move out of the city. Here is how you could bring the beautiful country side next to you! Country Living Magazine provides you with all the insights about country life! 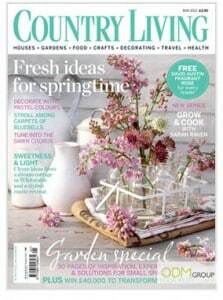 It is certainly the ideal magazine for people who yearn for a simple and joyful country life. This magazine talks about the inspiring houses, country garden and crafts, cookery, travel and rural issues! Everything you need to know about the country life! Besides that it provides tips and advice on how readers could decorate their homes by incorporating the elements of country life. Country Living Magazine that is based in the UK is currently offering a free fallen fruits herb gardening set with every successful subscription. 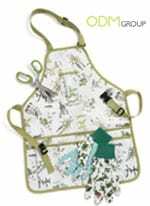 This gorgeous set of gardening tools consists of herb scissors, apron and gardening gloves. It is a perfect gift for Country Living Magazine readers! This gift definitely encourages customers to head outside and do some gardening! Benefits of this gift with subscription? Country Living has a clear and defined target market. Their customers are mainly country side lovers or people who love Mother Nature. Hence, with a clear understanding of their target audience, Country Living has made a precise decision on their chosen gift with subscription. First of all, the gardening tool sets definitely suit the needs of their readers who definitely involve themselves in some country gardening. Besides that, this gift with subscription definitely has a long product life. It allows customers to use it on a regular basis. Customers appreciate gifts that are practical and lasting. This will leave a good impression on your clients and ultimately they will bring in more sales for you. For instance, readers who really appreciate this fabulous set of gardening tool might have the thought of continuing their subscription! As a result, this increases Country Living’s customer loyalty! If your company is looking for more gardening gifts, check out these simple gardening tools. However, do remember to cater your target audience with gifts that are suitable for them! With the right choice, these gifts can act as a great incentive to your company sales!